Today the Raw and Radical “On Display” podcast welcomes Angela Fraleigh, an oil painter and installation artist, to discuss the role of feminism and power dynamics in her work, her thoughts on manifesting our own realities, and her interest in uncovering hidden feminist-focused histories. 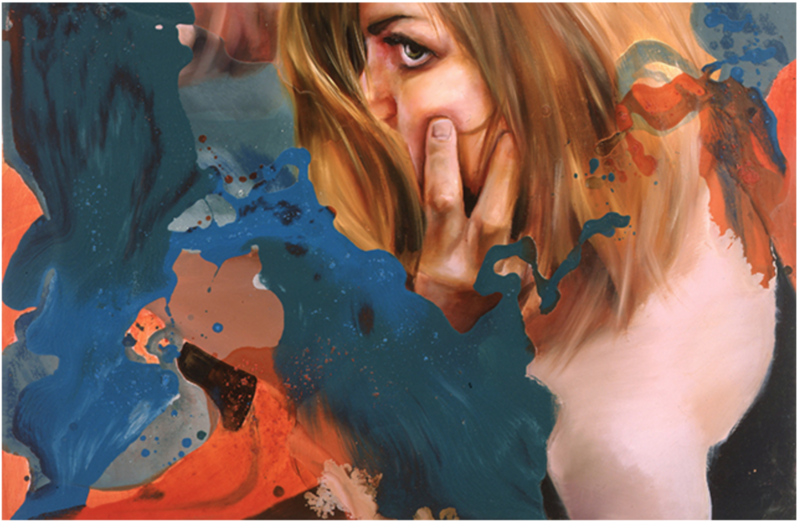 Angela’s work was described by one museum curator as creating “utopic provocations of … counter or oppositional narratives that allow us to imagine different pasts and different futures.” One way she creates these narratives is with large scale paintings that immerse the viewer in her “feminine utopian” vision. The idea that our realities are created from our thoughts is a powerful influence on Angela’s work. She sees the current political climate and events as a manifestation of our underlying thoughts, but also as a powerful opportunity for purging and change, particularly as it relates to her art. “Rather than focusing on the stuff I don’t want, I’m focusing on what I do want. And what I do want are these big utopian feminist societies that are much more nurturing and, not maternal, but … where people feel comfortable and safe to create the world they want to live in,” she says. Angela also discusses how gender and power dynamics are conveyed through her work and influence her subject matter. She’s currently focused on the invisible histories of women in the arts. Her recent exhibition at the Edward Hopper House Museum focused on the women in Edward Hopper’s work, but in particular on the role of his wife “Jo,” an accomplished painter in her own right but who was ultimately eclipsed by her husband. Angela also touches on how parenthood has impacted her art practice. She says she’s very lucky that she can afford daycare and that both her mother and her partner are supportive and open to sharing the childcare load, but it still requires pre-planning to the time to create art. Angela’s advice for other artists is that leaning into and supporting one another is incredibly important. She feels that without doing that, we can’t reshape our thought processes and society into a more nurturing environment for our creativity. Fraleigh was born in Beaufort, SC, and raised in rural New York. She received her BFA in painting from Boston University and her MFA in painting from the Yale University School of Art, then spent two years in Houston as a Core Artist in Residence. Fraleigh is a professor and the department chairperson of the Moravian College art department. She is represented by Inman Gallery in Houston, TX.